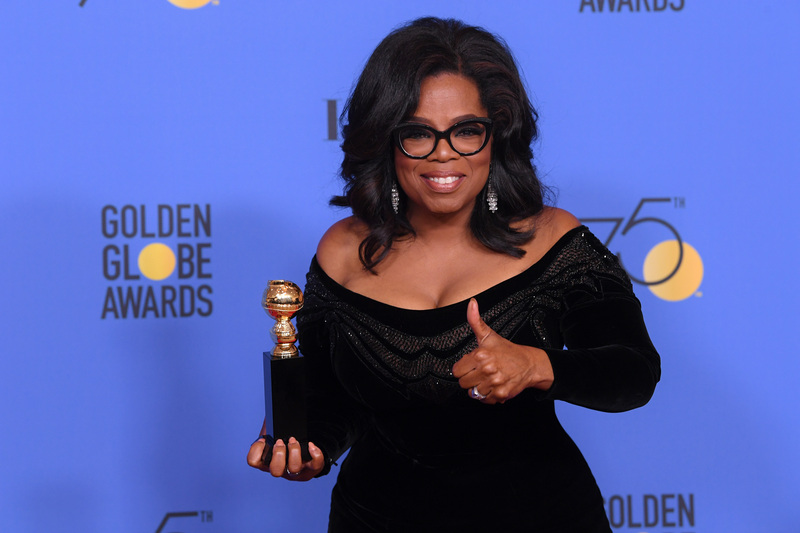 When it comes to Golden Globe predictions, it’s always a good idea not to be too cocky, as this idiosyncratic group of 90 Hollywood foreign press always throws a few curves. 2018 was no exception. While the HFPA didn’t go with “All the Money in the World” star Christopher Plummer for Supporting Actor or Ridley Scott for Director, they did reward “The Greatest Showman” with Best Song — as the second-year-in-a-row winning songwriters Justin Paul and Ben Hasek hugged presenter and “La La Land” star Emma Stone as they left the stage. After last year’s “La La Land” seven-win sweep, this year the Hollywood Foreign Press spread the love. Fox Searchlight’s “Three Billboards Outside Ebbing, Missouri” lead the drama field with four wins, for Best Drama, Actress Frances McDormand, Supporting Actor Sam Rockwell and Screenplay Martin McDonagh. This gives “Three Billboards” a boost going forward, as frontrunners McDormand, Rockwell and McDonagh compete for Oscars with a strong wind in their sails. “It was great to be in this room tonight,” said Frances McDormand as she accepted her Best Actress award, “and be part of the tectonic shift in the industry’s power structure. Trust me, the women in this room are not here for the food, we are here for the work!” Backstage, she added, “there’s no going back.” Notably, McDormand did little campaigning for this win, nor did her rival, “The Shape of Water” star Sally Hawkins. It was a good day for Mexico, too, as Disney/Pixar’s “Coco” won Best Animated Feature on its inevitable road to an Oscar win. Searchlight’s “The Shape of Water,” which led the 2018 Globe nominations with seven nominations, took home Best Director for Guillermo del Toro (his second nomination and first win) and Composer Alexandre Desplat. “Somewhere Lon Chaney is smiling upon all of us,” said monster-lover Del Toro, who gains momentum for a Best Director Oscar nod. Not getting a boost was Steven Spielberg’s “The Post,” with six nominations, which went home with nothing, along with such popular Oscar contenders as Luca Guadagnino’s “Call Me By Your Name,” Jordan Peele’s “Get Out,” Christopher Nolan’s “Dunkirk,” and Paul Thomas Anderson’s “Phantom Thread,” which has been a notable no-show in recent guild nominations. Gaining ground in the Oscar race is Greta Gerwig’s comedy frontrunner “Lady Bird” (A24), which wound up with two Golden Globes, Best Comedy and Comedy Actress Saoirse Ronan for her role as a rambunctious teenager eager to escape Sacramento. Backstage Gerwig reminded that her title character was not like her at all, in fact, but closer to who she would have liked to be. 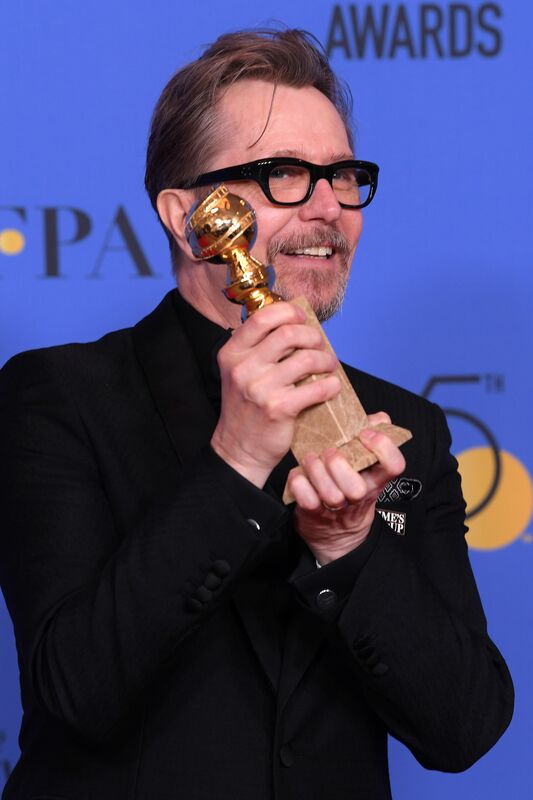 Inevitably, Gary Oldman’s Winston Churchill took home Best Actor Drama for World War II drama “Darkest Hour,” his first Globe nomination and win. “I’ll be learning about the man for many years to come,” said Oldman. “Words and actions can change the world, and boy does it need to change.” The British star is still the frontrunner for Best Actor at the Oscars. Auteur James Franco won Best Comedy Actor for A24’s true show business story “The Disaster Artist,” which pushes him into position for a Best Actor Oscar nod — along with his graceful speeches on and backstage, thanking collaborators Tommy Wiseau, Seth Rogen, and brother Dave. German filmmaker Fatih Akin’s “In the Fade” beat out shortlisted Oscar contenders “The Square,” “Loveless,” and “A Fantastic Woman” for Best Foreign Film, partly because it was his most personal film to date, he said. Cannes Best Actress winner Diane Kruger returned to her native Germany to star as the woman who fights back against terrorists. Will it make the final Oscar five? Only the foreign language committee knows for sure.